According to a recent report from Android Police, Google has more than just two Pixel phones to announce later this year. Apparently, Google will also unveil a smaller version of Google Home, as well as new Pixel-branded Chromebook. At $129, Google Home is already a compact product, but I suppose it could get smaller. There are no specifics from the report’s source on what we should expect, so we can at least share what we hope Google might announce. For example, if Google shrunk down a Google Home that plugs directly into an electrical outlet, like an NVIDIA SPOT, then charged $50-75 for it, that would pretty much make my dreams come true. 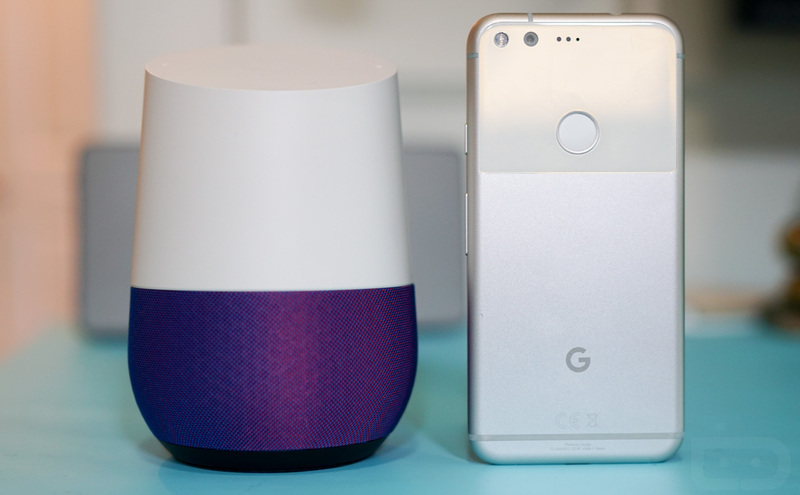 Again, the report provides no specifics on size or features of this “miniaturized” Google Home, but we’ll keep you posted. As for the new Chromebook Pixel, there are no specific details provided for that either, but it’s reported it is likely a followup to the Chromebook Pixel from 2015 and may or may not be based on a previously rumored Project Bison that Google was working on. While this may not be the most detailed report ever, the idea that Google has more hardware in store for later this year has us plenty excited.